There’s nothing better than escaping the cold and spending some time at a sun-kissed beach, in a tropical surrounding. For many of us, Hawaii might be that ideal destination. However, some do like it colder but just need to break away from everyday life—so Colorado comes into play. Regardless of what weather type you are, when traveling to one of the destinations below it is almost guaranteed that you can forget the stress. Maui might be the most popular of all Hawaiian Islands. However, fewer people have probably heard of Wailea, Maui’s community in the South. The scenery here is beautiful and natural, and fewer tourists cross your path—at least if you avoid the summer months. Temperatures then reach a pleasant 75 degrees. You get what you pay for; Menehune Shores starts at $140 per night but if you’re feeling fancy, stay at Makena Beach and Golf resort. Enjoy the beautiful scenery, go hiking at Kula Forest Reserve, have a drink with ocean view, or relax on the beach. Whether you’re an active traveler or just someone who wants to take a relaxed break, Waikoloa is the place for you. Go snorkeling, surfing, or simply watch the stunning sunset at Anaehoomalu Bay. Here, modern resorts and ancient history merge. For lower rates on accommodations, avoid traveling in March as well as the end of April and beginning of May, when it’s Japan’s Golden Week. For a stay with a luxury touch, choose Waikoloa Beach Marriott Resort and Spa, an alternative is Paniolo Greens at Waikoloa Village for those seeking more of a home away from home. Located in the east of Kauai Island, Kapa'a is specifically known for famous Coconut Beach. In this part of Hawaii, accommodations are comparatively cheap with rates starting around $80 per night at Castle Mokihana. The Courtyard by Marriott Kauai at Coconut Beach is more upscale, yet still considered affordable with average prices of $150 per night. 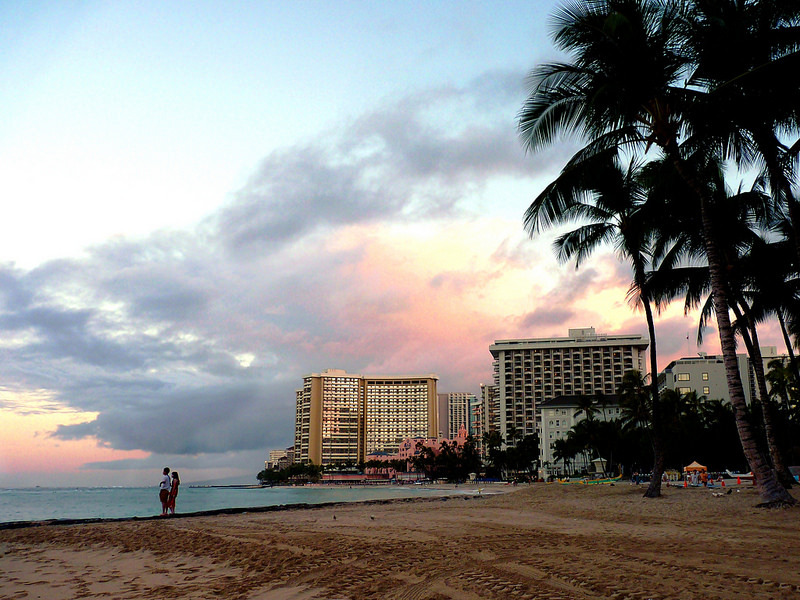 Kapa'a features a number of shops and eateries to re-fuel for another round of spending spree. Water sports such as kayaking, tubing, and surfing are very common. With average temperatures between 70 and 80 degrees and little rainfall, this charming town by the sea is one of the more popular destinations. Head over to the Beach Park, go for a relaxed stroll along the waterfront, or visit the Kaloko-Honokohau National Park. Kailua-Kona is also where the Ironman World Championship takes place each year in October, so avoid this month if you’re hunting for hotel discounts. Stay at Kona Coast Resort or at vacation condos in Kona for a home stay feel. Away from Hawaii and touching down in Boulder, this is a real difference, but Boulder is a fantastic place to unwind and escape the ordinary. The place makes for an active vacation; whether you like to go skiing in the winter months, or come here to hit the trails in the Rockies for a hike during spring, outdoor fans will enjoy themselves. Unlike other U.S. cities, Boulder is very bike-friendly. Courtyard Boulder - Louisville by Marriott is the ideal retreat for a long day out, with rates starting around $100; average prices at the Holiday Inn Express Boulder are $177 per night.